Holiday apartment on the ground-floor of a 2-family-house with outdoor space and spa. The accommodation has recently been built in accordance to the Feng Shui theories, using the geothermal and photovoltaic technologies. At the guests’ disposal a partly fenced, equipped garden for outdoor meals. The access to the spa on the 1. floor is by a crystal lift passing also by a common living room. 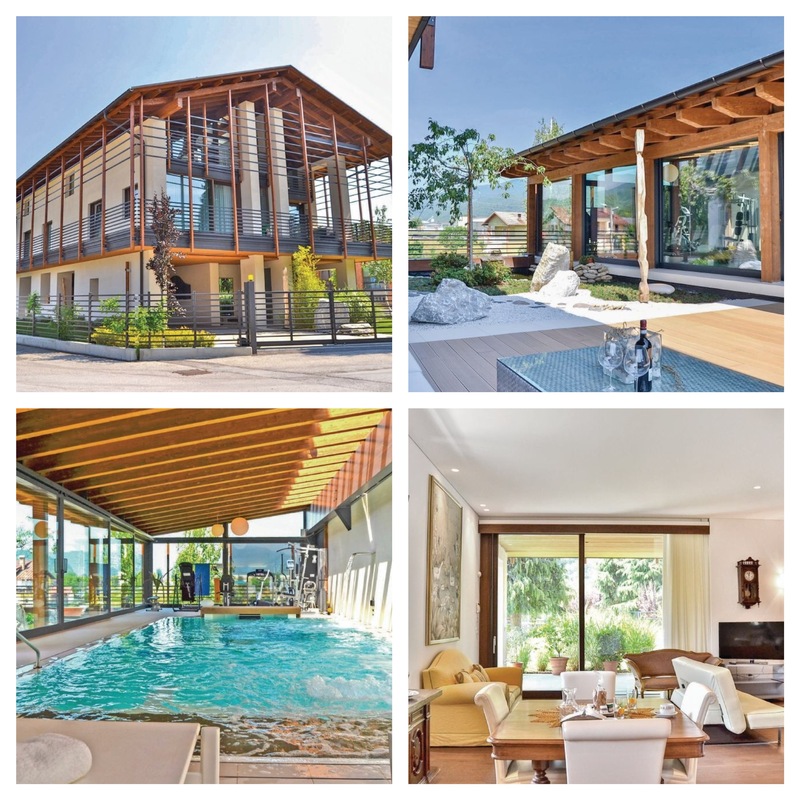 Here you can swim against the stream, use the training space, the water massage, the sauna and the Turkish bath with chromo therapy or relax in the outdoor living area. Ideal position for excursions to famous places such as Barolo 67 km, Mondovi 36 km, Lurisia 24 km, Limone 20 km, Alba 84 km and Turin 107 km. Opening hours spa: 9.30-11.30h/16.30-19.00h. The spa is not available on Wednesdays and Sundays. Flights & car hire available as a supplement.